Italy's third-largest city thrives on the chaos that prevails amid its busy streets. This is the place where pizza was invented & its restaurants continue to serve some of Italy's finest cuisine. The city is somewhat schizophrenic in its juxtaposition of superb museums, Renaissance and Baroque churches alongside crumbling tenement blocks & squalor. Situated in southern Italy, Naples is a city full of history and superb architecture. With its stunning location sandwiched between Mount Vesuvius and the island of Capri, Naples is a bustling city packed with palaces, churches and museums for you to explore as well as a fabulous choice of restaurants to enjoy. For direct flights to Naples, Italy check out British Airways. Low cost flights are available direct from the UK with easyJet. You’ll be spoilt for choice when it comes to visiting Naples’ beautiful museums and art galleries. The magnificent National Archaeological Museum, housing treasures found at Pompeii is a must, as is the Capodimonte palace where you’ll find Botticelli’s ‘Madonna’ and other great masterpieces. 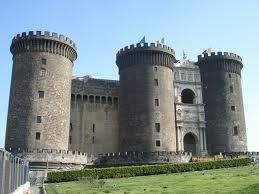 Take a look into the rich history of Naples with a visit to the Museo di San Martino. Located in a hillside monastery you’ll be able to take in some magnificent views. For opera lovers, a visit to the San Carlo Theatre offers a fantastic experience. With its stunning architecture and wonderful acoustics it is now a World Heritage Site. For those travelling with children, try the city’s Aquarium or the Edenlandie theme park, the largest amusement park in Campania. In addition, many of the city’s museums offer a range of family friendly exhibits. 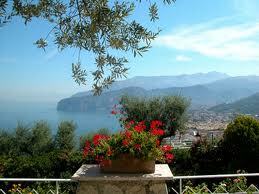 Dining out in Naples is a joy with so many wonderful places to choose from, often with spectacular views of the bay. You won’t be able to resist sampling its delicious and renowned pizzas. For fantastic offers on cheap flights and lastminute flights take a look at our great flights comparison tool at Directflights.com. You’ll find the cheapest flights are usually found outside of peak times of travel such as Christmas or holiday periods.